" The president unveiled an austere federal budget that calls for elimination of 115 long-established programs, significant reductions in defense and most domestic outlays and only slight increases for the administration's top priorities. The administration's new budget is designed to advance the president's agenda within the modest bounds permitted by tough new spending caps, while still meeting the deficit reduction targets. Yet the funding shifts and program curtailments it proposes are certain to provoke bitter struggles among affected interest groups and their allies in Congress. Liberal Democrats already are accusing the president of failing to honor his campaign promises to reverse the effects of years of Republican rule and reinvigorate social spending." There. He's doing it. Happy now? This is what we need, right? This is what the Tea Party and the Republicans in Congress have been screaming for, isn't it? Cutting social programs, tough new spending caps, deficit reduction targets - surely, this is the answer. Surely, this plan will lead us into a better, brighter future. The only problem is, this isn't the future. This is the past. 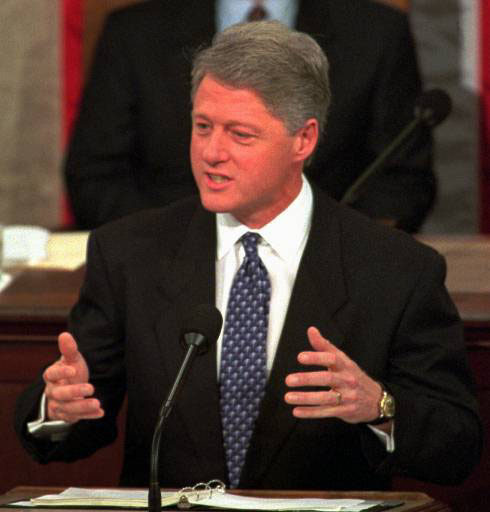 The quote at the top of this page was from 1995, describing then President Clinton's new budget. A lot of what was happening then is happening now, to be sure - a democratic president pushing health care reform, a midterm election that resulted in a whole lot of Republicans feeling all full of themselves (the term "uppity" comes to mind) and, so hellbent was this uppity new Republican Congress on showing President Clinton who was boss, that they shut down the government as a last ditch effort to "get this liberal spending under control". Clinton got re-elected. Guess that whole "Show 'em who's boss" thang didn't work out that well for the Repubs, did it? The irony is totally ludicrous - these same people that want to repeal the Health Care Bill (call it ObamaCare at your own peril - I'm throwing banana cream pies in the faces of people that utter such tired rhetoric) - these same people are responsible for subsidizing tobacco growers to the tune of $944,104,224 since 1995. 1995 - that same year John Boehner acted as big tobacco's ATM machine, dispensing commission checks to members of Congress on the floor of the House - to vote against cutting the tobacco subsidies. Since then, we've paid almost one billion dollars to Joe Camel and the Marlboro Man. But Health Care is Bad? Welcome to the Republican Bizarro World. Over 4000 chemical compounds are created by burning a cigarette, many of which are toxic and/or carcinogenic. Carbon monoxide, nitrogen oxides, hydrogen cyanide and ammonia are all present in cigarette smoke. Forty-three known carcinogens are in mainstream smoke, sidestream smoke, or both. Smoking harms nearly every organ of the body and diminishes a person’s overall health. Millions of Americans have health problems caused by smoking. 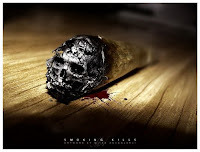 Smoking is a leading cause of cancer and death from cancer. It causes cancers of the lung, esophagus, larynx, mouth, throat, kidney, bladder, pancreas, stomach, and cervix, as well as acute myeloid leukemia. Smoking also causes heart disease, stroke, chronic obstructive pulmonary disease (COPD), chronic bronchitis and emphysema, hip fractures, and cataracts. Smokers are at higher risk of developing pneumonia and other airway infections. A pregnant smoker is at higher risk of having her baby born too early and with an abnormally low birth weight. A woman who smokes during or after pregnancy increases her infant’s risk of death from Sudden Infant Death Syndrome (SIDS). Men who smoke are at greater risk of erectile dysfunction. Cigarette smoking and exposure to tobacco smoke cause an estimated 438,000 premature deaths each year in the United States. Of these premature deaths, about 40 percent are from cancer, 35 percent are from heart disease and stroke, and 25 percent are from lung disease. Smoking is the leading cause of premature, preventable death in this country. This is a no-brainer (so even Michelle Bachmann will get it) - subsidizing tobacco is wrong, it's deadly and it's stupid. And, if you're serious about cutting the deficit, it should be first on the list. Easy Peasy. 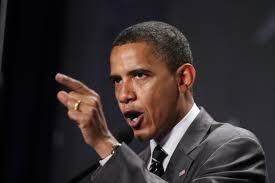 You wanna fix the budget, Uppity Republicans of 2010? Start there. End the subsidies for Big Tobacco. And this time...finish the damn job. Hey Daddy, I completely agree with the suggestion regarding subsidies for the tobacco industry. Restoring the Clinton-era rates on the top 3% of taxpayers would also make a big dent in that deficit. I found your Back to the Future framing of the issue somewhat curious, however. Clinton DID make significant spending cuts...welfare reform and base closures being the most noteworthy of these...and the result WAS a period of relative prosperity and budget surpluses. Which is exactly what the Republicans are saying will happen if Obama does the same thing. Of course, the difference between then and now was that Clinton's spending cuts came after tax HIKES, and he wasn't attempting to balance the budget while the economy was still recovering from the deepest downturn since the Great Depression. Today's GOP is demanding spending cuts AND tax cuts, which under current conditions is a recipe for prolonged economic stagnation and the steady expansion of the deficit and the national debt. Thanks for commenting (you know how comments make Daddy all warm an gooey inside - I know; "Yuck! ", right? But it's still true). Daddy's train of thought often doesn't make all of its stops on time, so thanks for trying to follow along. My point was that, in the midst of budgetary crisis, when the president and even sane Republicans were trying to fix our financial problems, Republicans like Boehner backed off of items like the tobacco subsidy. Now, we're in a budgetary crisis again, and I would like for history to not repeat itself. It's like the family budget to me - don't tell me you can't afford the rent because you've blown all your money on crack and Mountain Dew. In that vein, don't tell me we have to repeal Health Care Reform, but we can still give people lung cancer on the cheap, so it's all good.